Sign up for our Bulletin, which brings you news of our latest support, case studies, events and muses. We help Local Authorities get their local plans up-to-date and improve decision-making, as well as running events on topical issues. Have a browse through our support offers here. Here at PAS we think it's good to communicate. To enable this, we have a PAS discussion forum and the PAS blog. 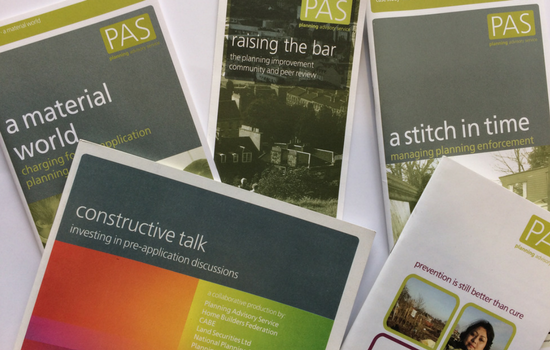 We provide high-quality help, advice, support and training on planning and service delivery to councils. We help local government officers and councillors stay effective and up to date. We have a ‘sector-led' improvement approach, where local authorities help each other to continuously improve.